Our event production team will be there with you from the initial planning stages of your event, right through to the event completion to assure everything is perfect. Over the decades, our fascination has grown into an obsession with the latest equipment. 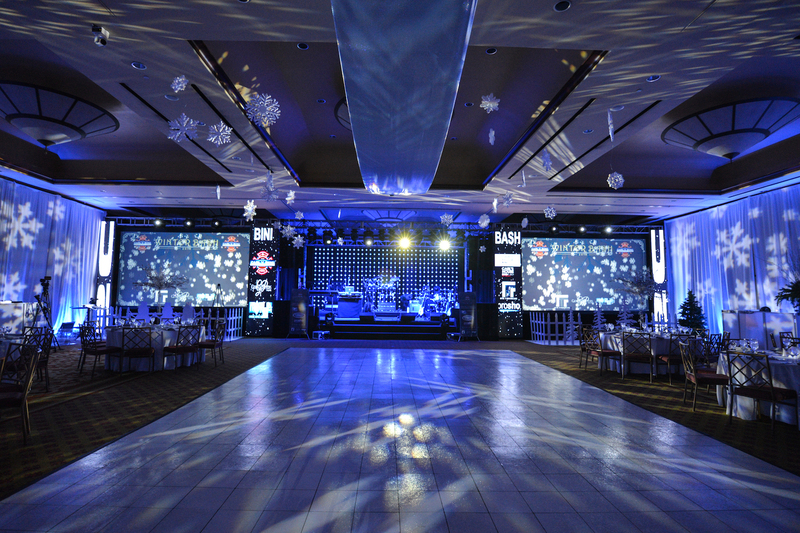 LED lights & video walls all help make to your event memorable. Our technicians can build an elaborate stage for your next rock concert, or we can design and build high-tech sets for your upcoming stage production. Pro Sho is a full service production company with talented and experienced event professionals. We offer all the items and services needed to execute any type of event. It you can vision it, or even if you can’t we can bring it to life. We are real people dedicated to exceeding your expectations. From the initial meeting to event day, we listen, share our experience and provide a professional and friendly service. Revisions? We adjust without attitude. Teamwork and respect are at the heart our business. Our staff gives 110% because they really care. Honesty and accountability make our clients feel like family not like a customer. Passion. We love what we do. Communicating, creating and celebrating the success of each event drives us to raise the bar higher. We take pride in every single event we are hired to handle. During our growth over the decades, we have learned just how important every detail is for every event, regardless of the size. We have never forgotten that, and we use that as our inspiration for every event. Audio – We can provide audio support for hundreds to tens of thousands of attendees. We have solutions and products for all type of audio needs. Corporate meetings, Gala Events, Concerts, Social events, marketing and brand activations just to name a few. Lighting – Theatrical lighting, Special effect and intelligent lighting, Dance floor & club lighting, Fashion and Décor. Video – LED Video walls, Projection, LCD displays, Key Note Presentation, and Video recording. 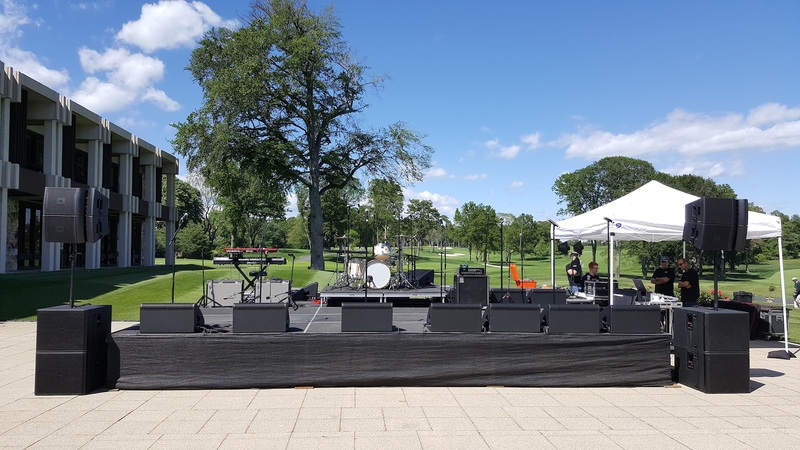 Staging – Outdoor Mobile Staging, Platform staging and risers. Power Generators – Power generators and distribution for all types of applications. Production Management – Large scale event planning for festivals, and multi day events. On site event management and logistics. If you can envision a stage production in your mind, then there is technology that can bring it to life. For decades, ProSho has been helping clients to use the latest technology to get amazing results. From rock concerts to corporate video conferences, we use the latest technology to get the results you need. Using the latest lighting technology we transform any event space into a unique and creative environment that fits your theme. Our team can build an elaborate stage for your concert, or design & build a high-tech set for your stage production. 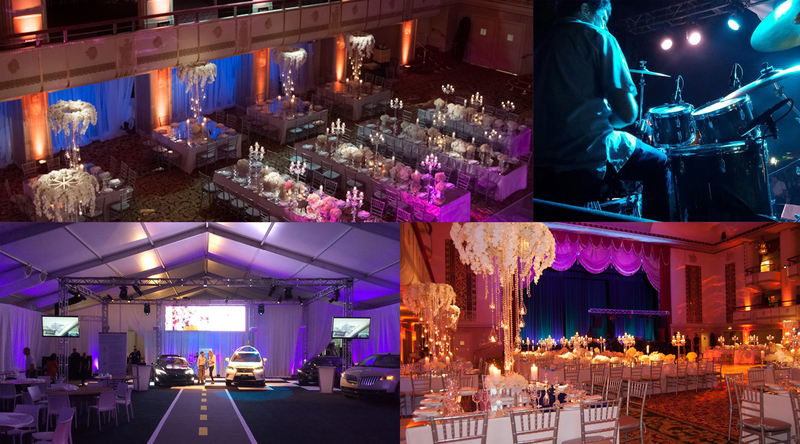 Our team transforms your event into something unforgettable.